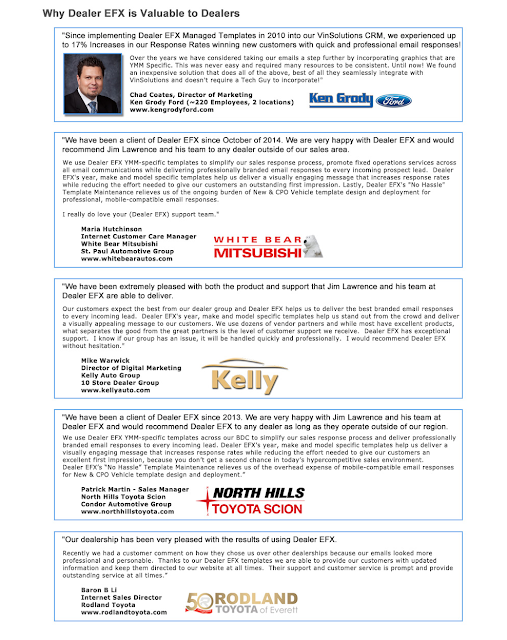 SAN DIEGO, CA — Search Optics®, a leading global digital marketing provider with expertise in the automotive industry, today announced results from its first annual digital marketing trends survey, which spanned more than 160 U.S. automotive dealers associated with a variety of leading automotive brands. The survey participants included dealers representing automotive brands from Asia, Europe, and the U.S. Regardless of brand, the dealers unilaterally agreed that their most important goal with digital marketing is to achieve results and a reasonable return on investment. More than 80% of dealers surveyed also said SEO was the most important service they procure through external marketing partners, indicating not only the value that they place on organic website visitor traffic but also the gaps that exist in their internal digital marketing skill sets. Top digital services: According to the survey, knowing how to best spend digital marketing dollars across an optimal mix of services is a top concern for dealers. SEO ranked as the top service being leveraged through digital marketing service providers, followed by website, paid search, social media, email, display advertising, and video services. Greatest business challenges: Staying ahead of the competition remains one of the biggest challenges for today’s automotive dealers. Other major challenges include keeping up with technology, gaining insight into market demands, and implementing the most effective digital strategies. Search Optics is a leader in global digital marketing that specializes in custom, integrated solutions with an emphasis on outstanding measurable results. The company uses an uncommon blend of class-leading technology backed by real people. In 2016, Search Optics was named the Google Mobile Champion for the second consecutive year. The company was founded in 1998 and has offices in the North America, APAC, EMEA, and LATAM regions. For more information, please visit www.searchoptics.com. You can follow Search Optics on Twitter, LinkedIn, G+, and Facebook.